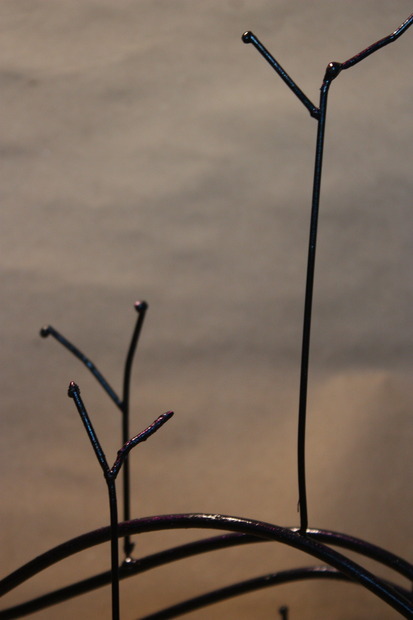 Lily Erb, Life Persists, steel and paint, 13" x 14" x 10", created at Metal Inc. shop in Charlottesville, VA. I became an artist the day I started welding my second year of college, the moment the sparks started flying I was hooked. I continued pushing the material and seeing how welcoming I could make it until I graduated from Hampshire College in May 2013. 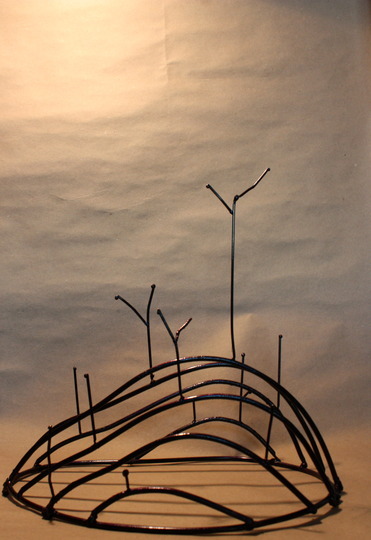 I spent 2 months as a resident artist at a new sculpture park in rural Tennessee in the fall of 2013 and now spend my time assisting artist Darcy Meeker (also a Telephone artist) and apprenticing with Lauren Danley, a fabricator who also lets me use her shop to create my own work. I found it to be frustrating at first but then fun! Once I stopped trying to figure out what the meaning was and let myself take in my own interpretation it was a fun practice in starting with a concept instead of an object which is how I usually create my work.